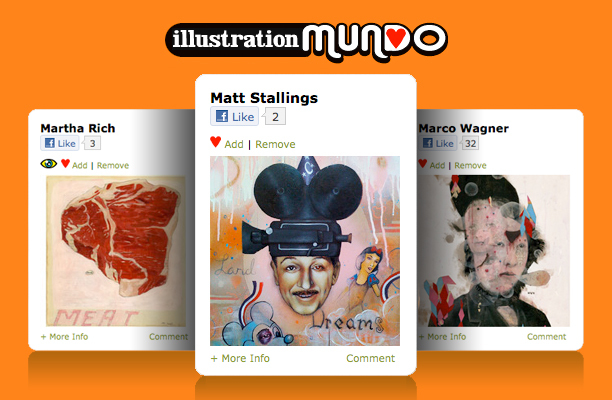 If you are an art director, collector, or just in the mood to browse through and discover amazing artist & illustrators check out IllustrationMundo. And if you are an artist or illustrator join the list. It allows you to link up all your personal and social sites to your profile. Two thumbs in the air for this site.